Avg. Group Discount of 9.8%! Six Flags, Naismith Basketball Hall of Fame, Mass Mutual Center, Suess Memorial, Big E, Eastern States, Olympia Ice Center, Bright Nights at Forest Park, Baystate Medical Center, Noble Hospital, Mercy Hospital, Providence Hospital & Holyoke Hospital, UMass Amherst. Our hotel is conveniently located off Interstate 91 and Interstate 90, just six miles from Springfield. 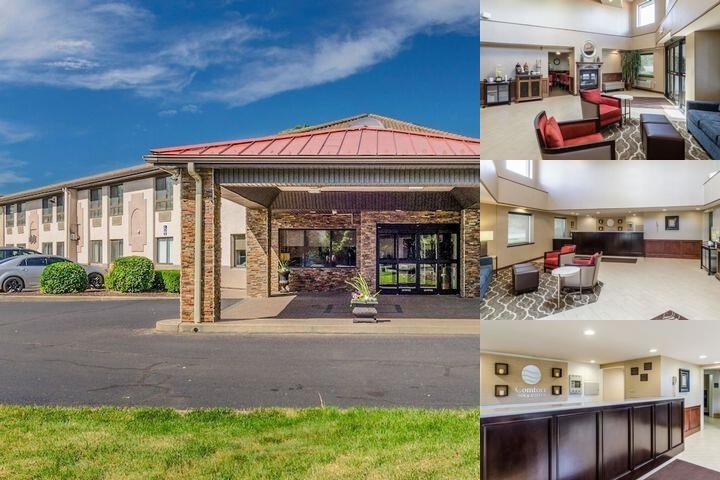 The Bradley International Airport is only a short drive away.Guests will enjoy many amenities, including free deluxe continental breakfast, free high-speed Internet access and a free daily newspaper. Workout in the on-site exercise room, swim in the indoor pool or relax in the hot tub. Bradley International Airport-18 miles south. 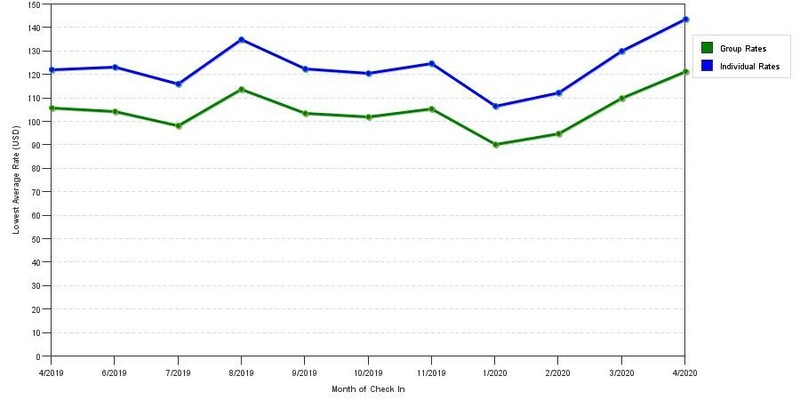 The graph above is trends of room rates for both our group quotes and the lowest online individual prices our system could find at the time the group/meeting bid was entered. The best group or meeting displayed is 22.9% in the month of December 2017 and the highest average individual rate is $149 in the month of July 2017. This chart will show past seasonality and also project future months. If you are flexible with dates, you may want to consider staying at Comfort Inn & Suites West Springfield in a month when rates are lower.